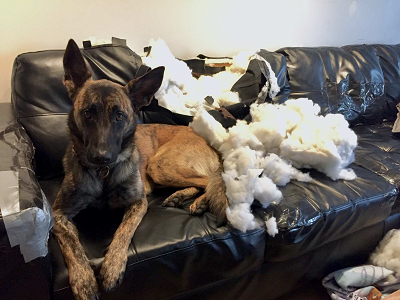 Tell us about yourself: I had a 2 ½ year old male Dutch shepherd named Bandit. Now own Blaze a dutch shepherd mix or so I'm told. His mom is a dutch shepherd, his dad.....not so sure. The new guy. Blaze 16 week Dutch shepherd mix ( his Mom is the Dutch Shepherd). Guess what he's supposed to be mixed with. No not a bat. He is 15.4 kg or 33.8 lbs. Re: Blaze the new guy.